Leo running in the woods looking for flowers to pick. 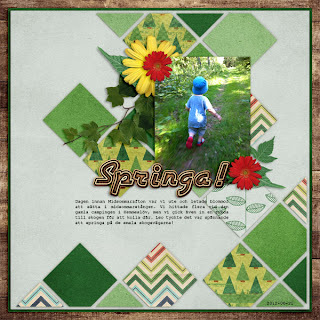 Created with template Patterns Alpenty and Happy Camper kit, both by Aimee Harrison Design Studios. This is from a nearby amusement park almost one year ago, Max had such a blast riding those small airplanes! 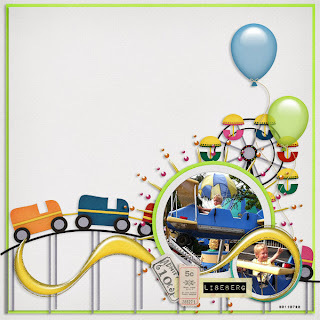 Created with Family Funtown by Aimee Harrison Design Studios. Max taking a plunge in the sea a couple of weeks ago. Cold but fun! 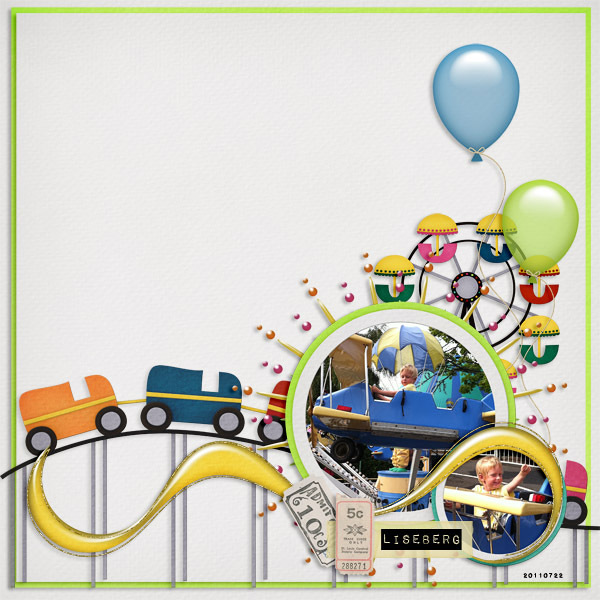 Created with a new kit called Anchor Me by t for me design. At the beach! 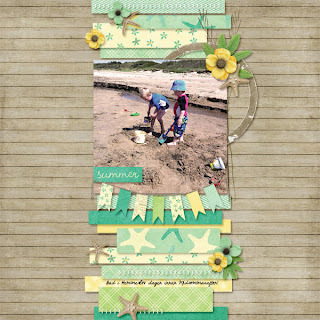 Created with a template called Stripped Down and a kit called "Summer Beach Cottage" by Wishing Well Creations, available at Scrap-N-Art Magazine online during July 2012 (and coming to the Digichick later this fall).